Ultimate Roullete Guide NZ - Strategies, Tips and Exclusive Bonuses! There are very few casino games as popular as roulette. Equally liked by players from New Zealand and from across the globe, roulette is played in brick and mortar establishments and online casinos alike. The game is simple enough in terms of rules but still exciting and filled with adrenaline, which makes it appealing to all types of players. Roulette was officially invented by Blaise Pascal and the game made its way from France to Europe and from there to other parts of the world. It didn’t take long for it to become one of the most popular attractions on the casino floors and roulette was also among the first games added to early online casino back in the 1990s. As far as the gameplay is concerned, roulette is one of the simplest games out there. The action revolves around the roulette wheel, which contains numbers between 1 and 36 (marked in red and black) as well as a single green Zero (0). There is also the American version of roulette, which contains all the same numbers and the additional Double Zero pocket (00). Placing inside bets gives players a chance to bet on any particular number on the board and they can cover as many numbers as they like on every individual spin. If they guess correctly, the payment is 35 to 1 (and the original bet is returned to the player). 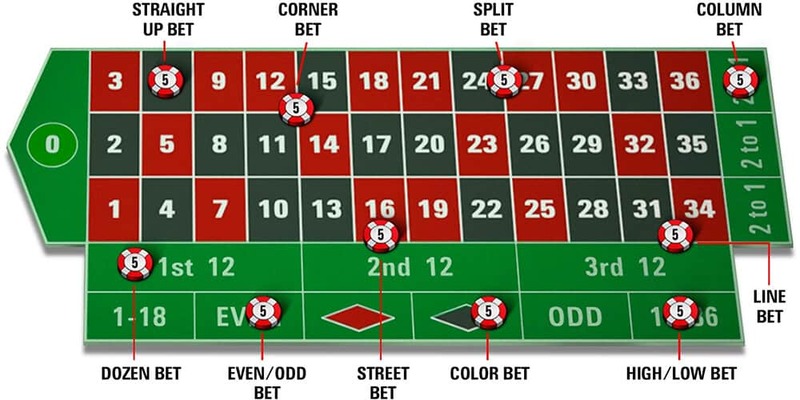 Betting on two numbers at the same time, also known as the split bet, pays at 17 to 1, the corner bet (covering four numbers) pays at 8 to 1, etc. Although roulette is one of the more popular casino games played in New Zealand, it is also the one where players can’t really beat the inherent house edge. In European roulette (36 numbers plus Zero), the casino edge is 2.70%. In American roulette, where there is extra Zero, the house advantage is even bigger, standing at 5.26%. Although there are different roulette strategies floating out there, such as Martingale or Paroli, none of them can really deny the casino advantage. At best, these can help players’ bankrolls last longer and provide them with some more entertainment, but if you’re looking for a roulette betting strategy that will make you a long-term winner, there is no such a thing as of yet. Of course, during any individual session, anything can happen, and players can often have big winning streaks on roulette, which is exactly what makes the game so attractive. It is really hard to go wrong playing roulette, so all you need is some luck by your side. Most New Zealand online casinos offer numerous roulette tables, from electronic roulettes to live dealer tables with the action streamed live from an actual casino or a gaming studio. Electronic tables usually offer an option to play for free as well, so players can get acquainted with the software and get the general feel for the game. One of the biggest advantages of online roulette is the fact most tables have large spreads between the minimum and maximum bet, often between as low as NZ$0.10 all the way up to NZ$100 or more. That way, players with small bankrolls and high rollers can enjoy the action just the same. Betting spreads on live dealer roulettes are also quite wide, although the minimum bet is usually somewhat higher, at around NZ$1 or so. Live roulette games usually don’t offer free instances, either. All the Kiwi players looking to learn the ropes of roulette or test waters with various strategies can easily do so at one of many great casinos offering roulette games to their players. Getting started is simple and easy and you’ll be able to get in the action in the matter of minutes. 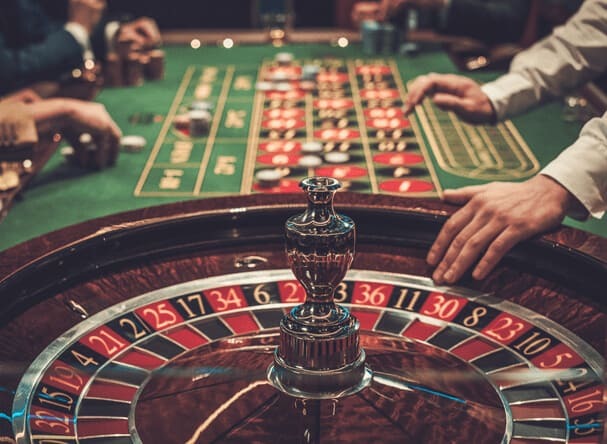 For those transitioning from live casinos, keep in mind that modern gaming sites offer all sorts of roulette tables, including the ones featuring live dealers. These offer the experience as close as possible to the action found in brick and mortar establishments so make sure to check them out.